Description: Woerden’s Herbal Liqueur is based on a unique and empirically determined recipe which includes 10 different herbs and spices. The herbs are picked when there are fresh and are individually put on alcohol to create a variety of herbal essences. The essence can then be carefully mixed to create a sophisticated and high grade liqueur. This herb al liqueur is truly one of a kind and is relatively smooth and accessible in taste. Colour: The liqueur has a warm and light brown colour. 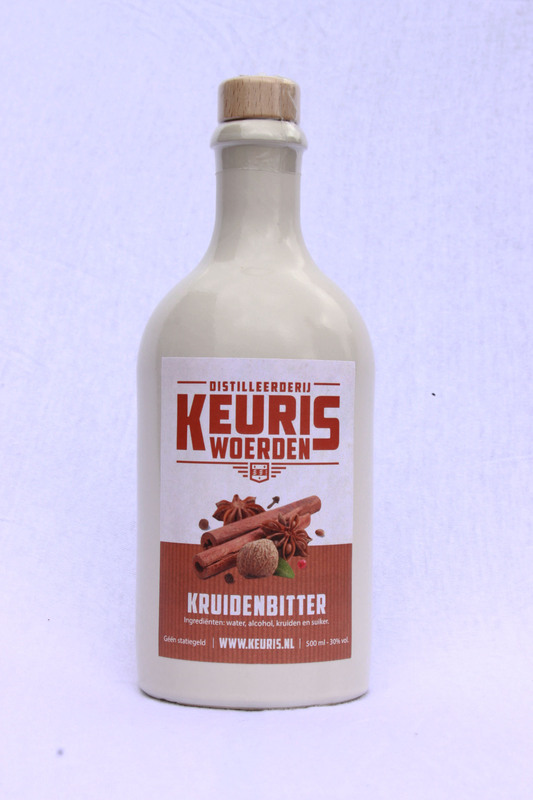 Smell: Woerden’s Herbal Liqueur has a beautiful and complex smell that is characterized by a variety of aromas. Of all 10 herbs and spices, cinnamon and anise can be well recognized. Taste: The taste has a freshness about it which is the result of carefully selected and freshly picked herbs that are used for making this liqueur. The variety of aromas is well balanced and creates a nice and round flavour. Aftertaste: A pleasant bitter sweet aftertaste completes the experience of drinking Woerden’s Herbal Liqueur. All our products are sold on regional markets, or can be bought directly at the distillery. For more information on sales dates, please have a look at our schedule (in Dutch only).